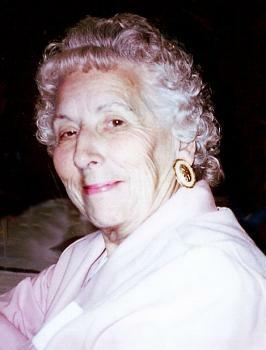 Charlotte Rose Mehaffey, age 75 of Ashley, died Thursday afternoon, April 16, 2009 at her home. She was born February 22, 1934 in Delaware to the late Henry H. and Rose (Chaney) Matthews. A 1952 Prospect High School graduate, she was a member of Prospect Senior Citizens and attended the Prospect United Methodist Church. Charlotte was a very giving person, always putting the needs of others before her own, and was well-suited to her occupation of Home Care Giver. The joy of her life was her children and grandchildren. She married Samuel Mehaffey in 1954, and he died in 1988. She is survived by a daughter, Pamela (Charles) Sullivan, Ashley; two sons, Mark (Chris) Mehaffey, Ashley; Phillip (Mendie) Mehaffey, Ashley, seven grandchildren; two sisters, Carolyn (George) Moser, Prospect; Audrey (Tom) Moyer, Lexington; a brother, Robert (Ellen “Sam”) Matthews, Lexington; and numerous nieces and nephews. Funeral services will be held Monday, April 20, 2009 at 11:00 AM in the Prospect United Methodist Church with Pastor Eric Sapp officiating. Burial will follow in Radnor Cemetery. Friends may call on Sunday from 2 to 5 PM in the Stofcheck-Ballinger Funeral Home, Prospect. Memorial gifts may be made to Prospect Senior Citizens, 318 N. Elm Street, Prospect, OH 43342 or the American Heart Association (www.americanheart.org). I'm sorry for your loss. Charlotte was my grandma's best friend Mildred. Your in my prayers. We were saddened to read that Charlotte passed away. We have wonderful memories of our high school years in Prospect. Growing up in a small community with a small school made us all friends. Charlotte was one of them. Please know that our thoughts and prayers are with you as you mourn her loss. We are so sorry about your loss. You have are deepest sympathy. If we can do anything for you at this time do not hesitate to contact us. We know she was a very giving person because your family is.